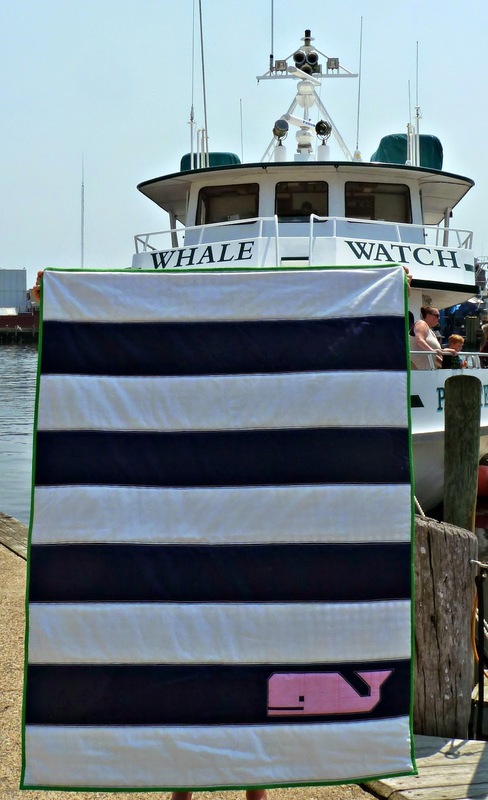 It's that time of year again... time for the Blogger's Quilt Festival. I've been on a bit of a nautical kick this year and preppy has always been my thing so the minute I saw Oh, Fransson! 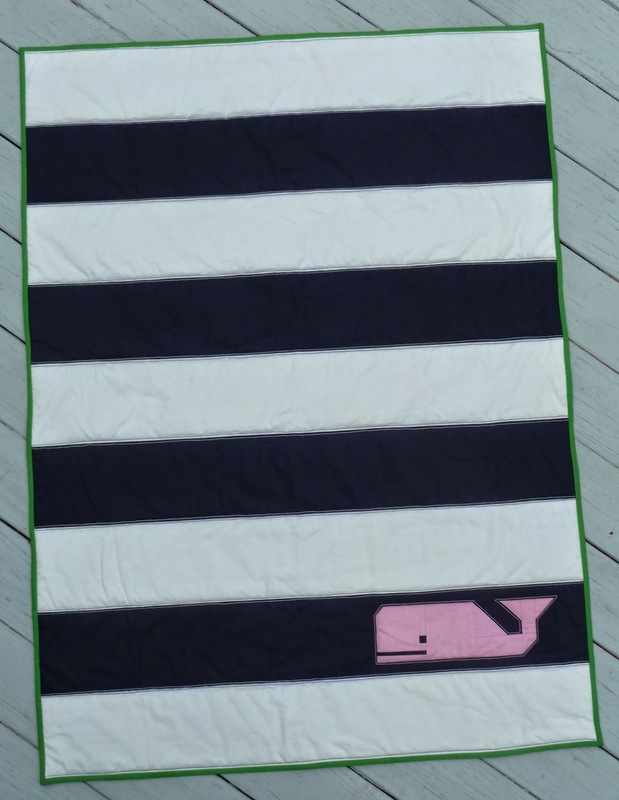 's Preppy the Whale pattern I knew I had to make one. As luck would have it Elizabeth was looking for pattern testers and I begged offered to help. I wanted to make a single block to test the pattern before committing to cutting all my fabrics. 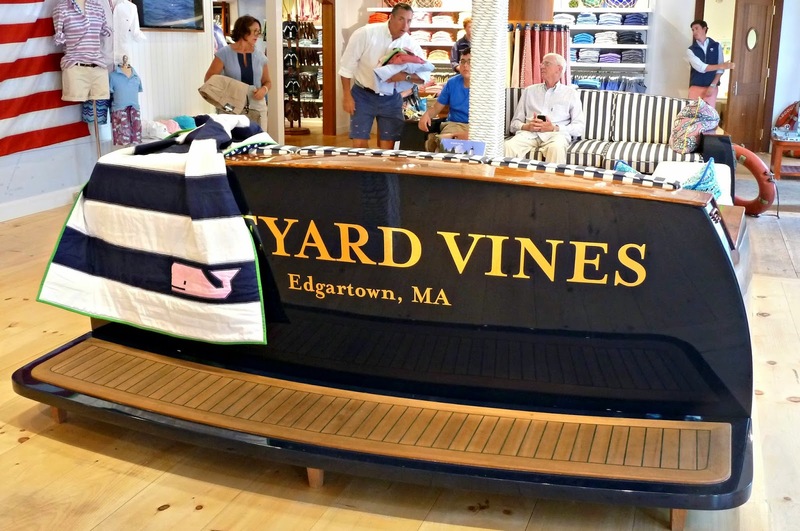 This pink whale was inspired by the Vineyard Vines logo. I named him Murray in honor of Shep & Ian, the brothers who founded Vineyard Vines. He was so cute I knew I had to put him in his own quilt. What could be preppier than stripes and a kelly green binding? I used the thicker 28 wt. Aurifil thread to quilt this. I love the extra definition it adds!!! 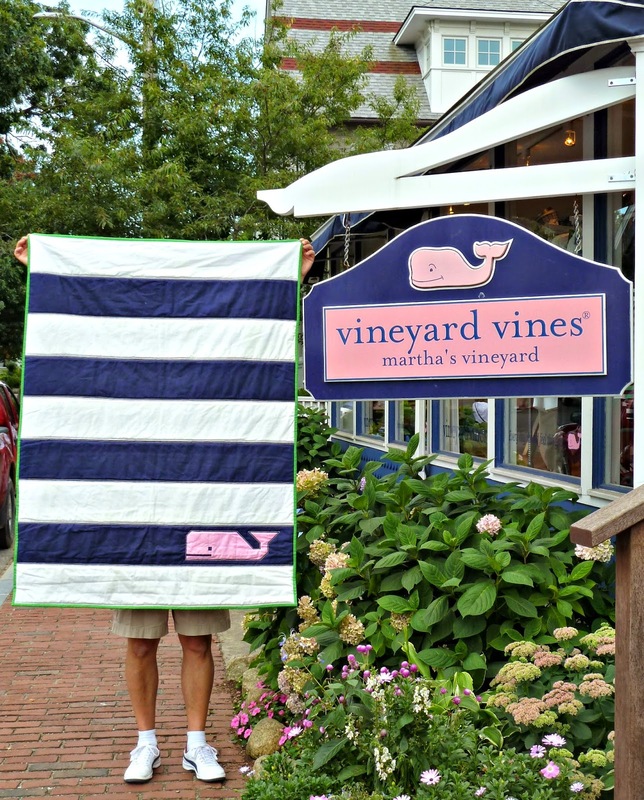 Of course I couldn't resist the chance to take a trip to Martha's Vineyard for a photo shoot! 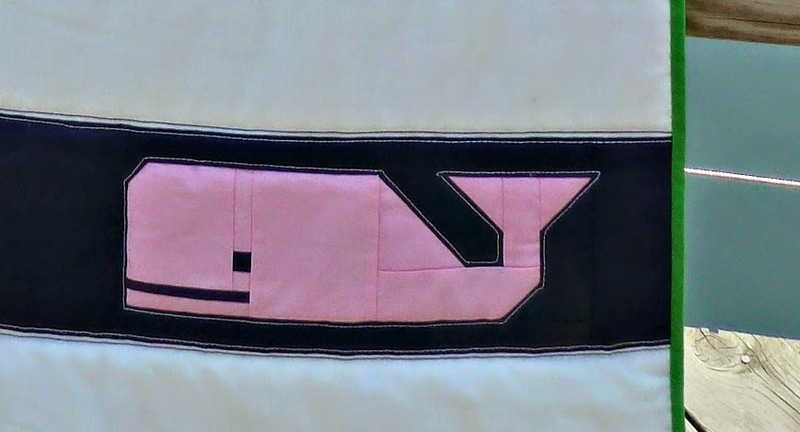 Finished quilt is 42" x 52"
Pattern: Based on Preppy the Whale by the fabulous Elizabeth Hartman of Oh, Fransson! What a fun quilt! That whale is so cute! Adorable quilt and a fun photo shoot! This is a charming quilt! He's a very cute guy. Hi Murray! I would have begged to test this pattern too.